There are many ways to support the Festival of Trees. As a guest, bid on one of the dazzling holiday items on display, participate in the raffle or purchase an ornament. Decorate a tree, volunteer, entertain or attend an event. There are also several sponsorship opportunities, or simply donate to the Festival by visiting the Aspirus Health Foundation web page. Please join us as a sponsor this year to care for people in our community. STEP 2 – Complete Decorator Details form by TBA (available on the decorator page). A week-long community event attended by more than 4,000 individuals annually. It begins with the Butterfly Luncheon and continues with the Gala, Senior Stroll and Teddy Bear Breakfast throughout the week. Recognition on Festival event entry signage, program, print ad, special event advertising including print, radio and television, and website. A Tree Sponsor Recognition (with option to decorate tree). Logo in the Gala invitation. 8 complimentary Gala tickets, 2 tickets to Butterfly Luncheon, 2 to Teddy Bear Breakfast, 20 Festival passes. 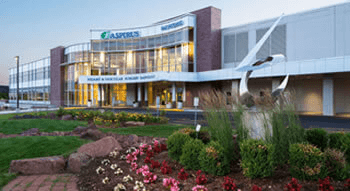 More than 250 community leaders attend this opening night special reception with cuisine from Wausau area restaurants, special raffles and entertainment. Recognition on event entry signage, Festival program, Festival print ad, special event advertising including print and radio, and Festival website. Butterfly Luncheon — Annual ladies luncheon held the Thursday before the Festival at the Wausau Country Club attended by more than 200 women in our community. Teddy Bear Breakfast — Saturday and Sunday morning holiday party for children and families attended by more than 400 individuals. Senior Stroll — Special viewing time on Wednesday for seniors. 4 complimentary tickets to the special event being sponsored. A special activity area such as: the North Pole (where Santa is seated), hospitality area, Santa’s Workshop, and entertainment. 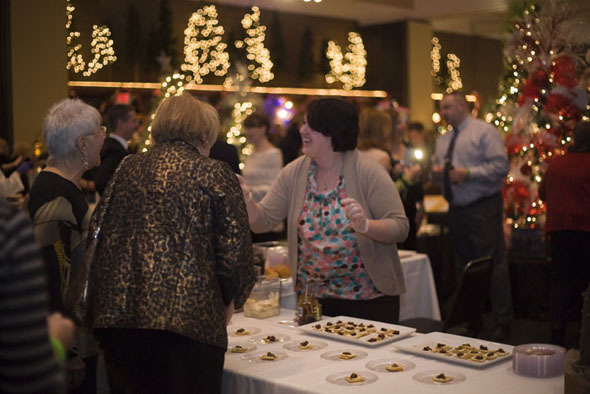 Sponsor the Festival of Trees, which is attended by more than 4,000 individuals annually. Make a donation to the Festival of Trees to support hospice care. Donate an item to Festival of Trees to be auctioned - wreath, centerpiece, studio tree, outdoor decorations, unique furniture, or any other holiday item.